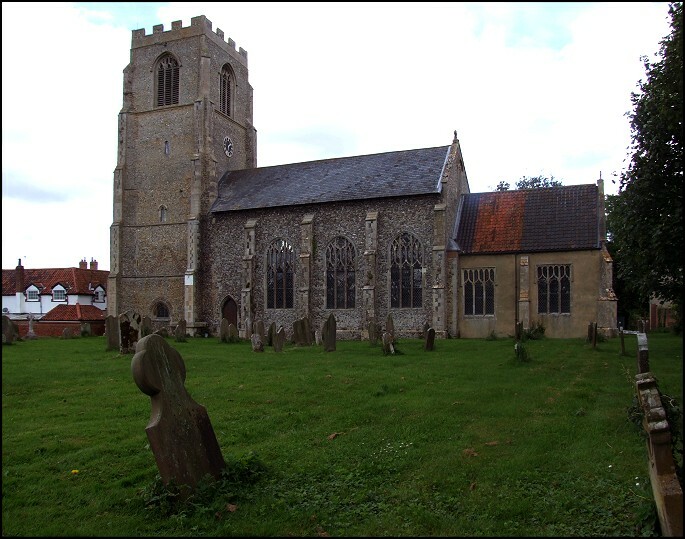 This tall church sits in a narrow graveyard not far from the road between Swaffham and Watton. It appears to be an ancient site; the road circumnavigates the graveyard, there is a slight rise in the ground. There is a fine collection of 18th and 19th century headstones on the north side of the church. The building itself is a grand accomplishment of the 13th, 14th and 15th centuries, this last period leaving it looking the very model of a Perpendicular church. And yet, there is a puzzle. The massive tower has entrances, or former entrances, in all four sides. The obvious solution is that, because of the narrow graveyard, there was once a processional way beneath the tower, as at St Peter Mancroft in Norwich. However, there is something odder still about this tower. On all four sides, high up, there is the ghost of an archway picked out in brick. 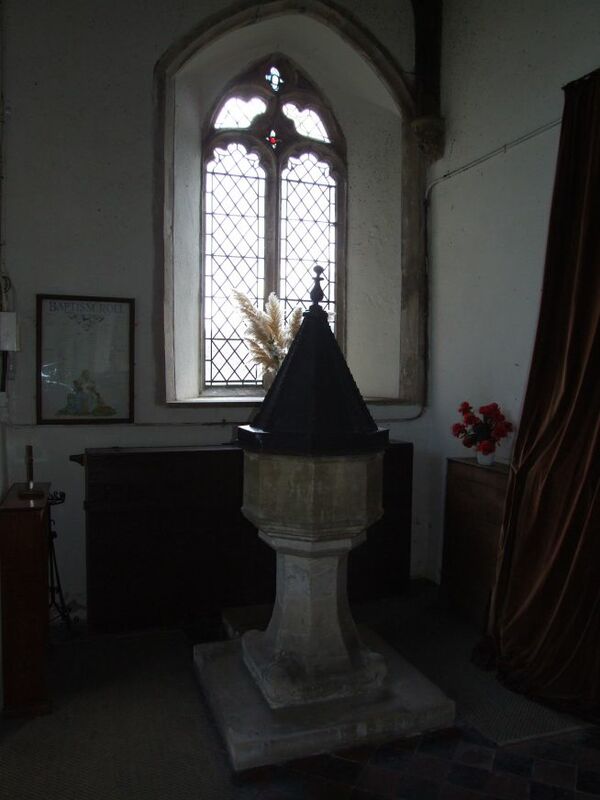 One possibilty is that the lower part is, in fact, a central Norman tower of a lost cruciform church, as at South Lopham. There's something similar at East Bradenham a few miles off. St Andrew is a real churchcrawler's church. It doesn't give up its delights easily, but there is something of interest from almost every century. Something that is immediately obvious to anyone, however, reveals itself as soon as you step inside. 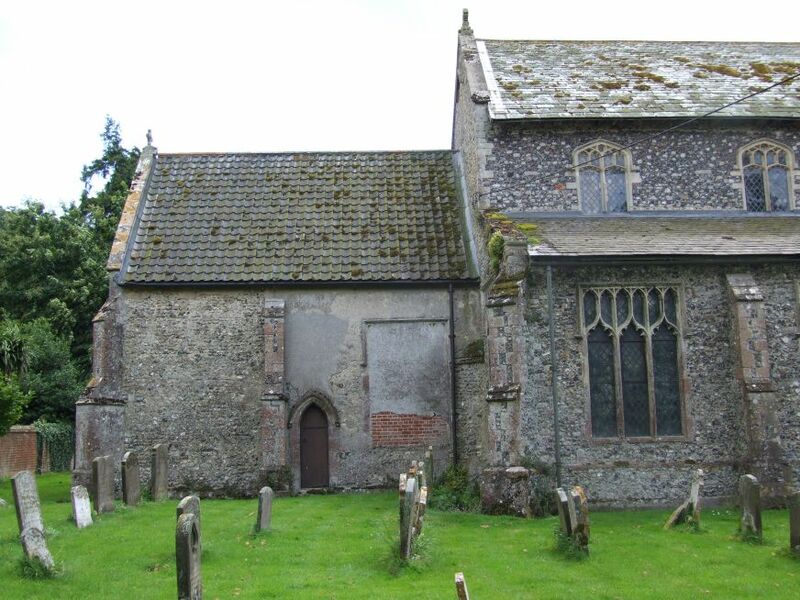 This church has one of the worst bat problems of any church in Norfolk. 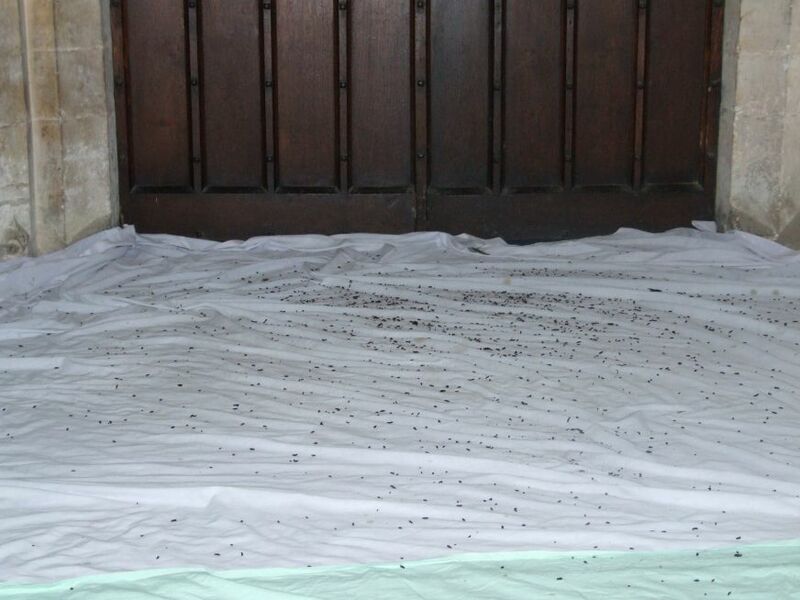 The sheets laid down the length of the aisle are festooned with bat poo, and the smell of urine is almost overpowering. This was the worst infestation I had come across since Westhorpe, in Suffolk, a few years previously. As I observed on that occasion, when you've got bats, you know you've got them. People from outside the UK reading this may be astounded to learn that, as bats are a protected species, not only are you forbidden from getting rid of them, it is also illegal to dissuade them from coming back. In fact, the law says that you have to encourage them to stay, or else it will be down on you like a ton of hot bat poo, discolouring woodwork, staining brasses, and making unpleasant crunchy noises in the aisles. Of course, eventually someone is bound to point out that bat faeces and urine are a health hazard, at which point the law will probably be hardened still, and buildings like this will be closed down completely and left to the invaders by the eco-fascists. 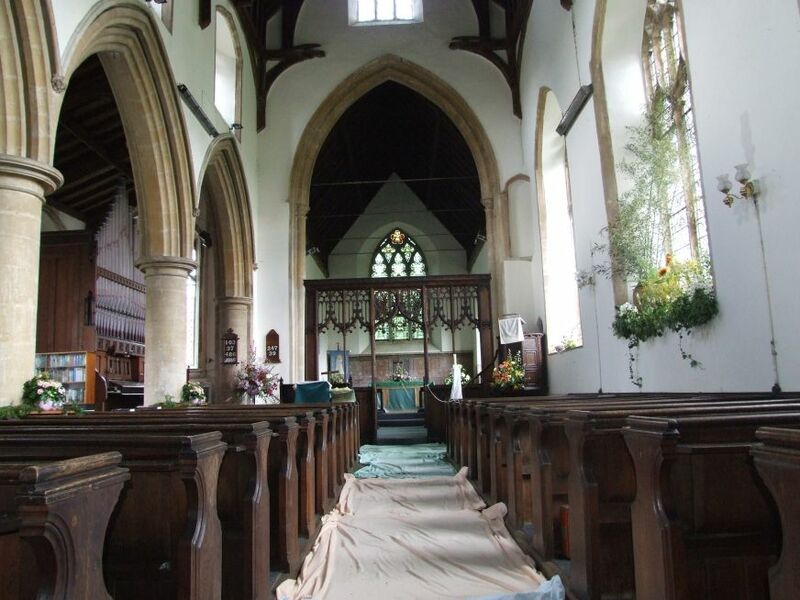 There are thousands of bats in Norfolk, and it wouldn't take rocket science to provide artificial bat roosts nearby, and seal historic churches against this disgusting misuse. Indeed, were it not for the bats this would be a spectacularly lovely interior. There is an unpainted screen of, I suppose, the early 15th century, with elaborate wheels in the spandrels above the entrance. 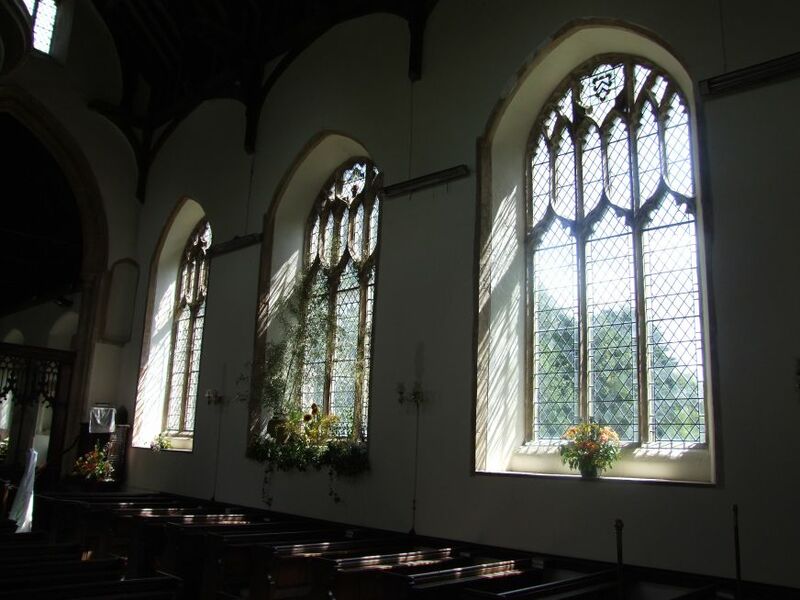 The north arcade must be thirteenth century, and the big windows on the other side of the nave fill it with light. 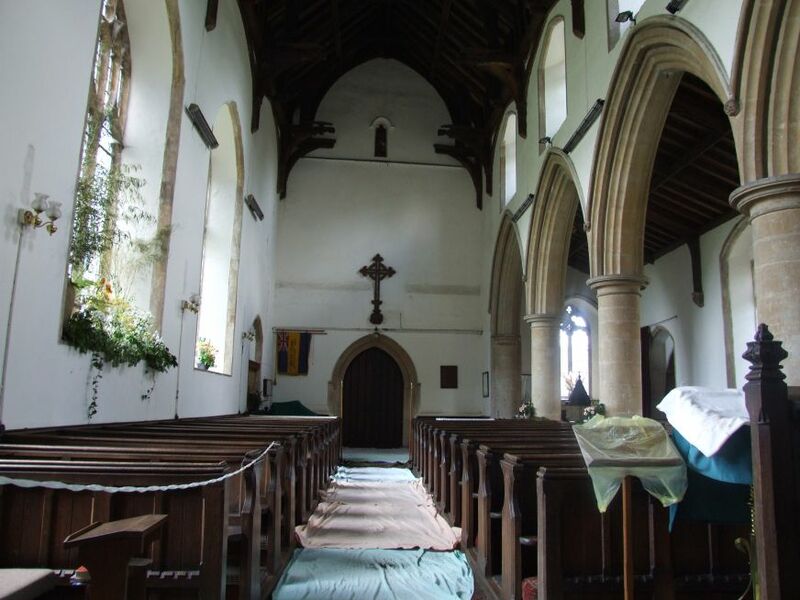 The roof above is late medieval. 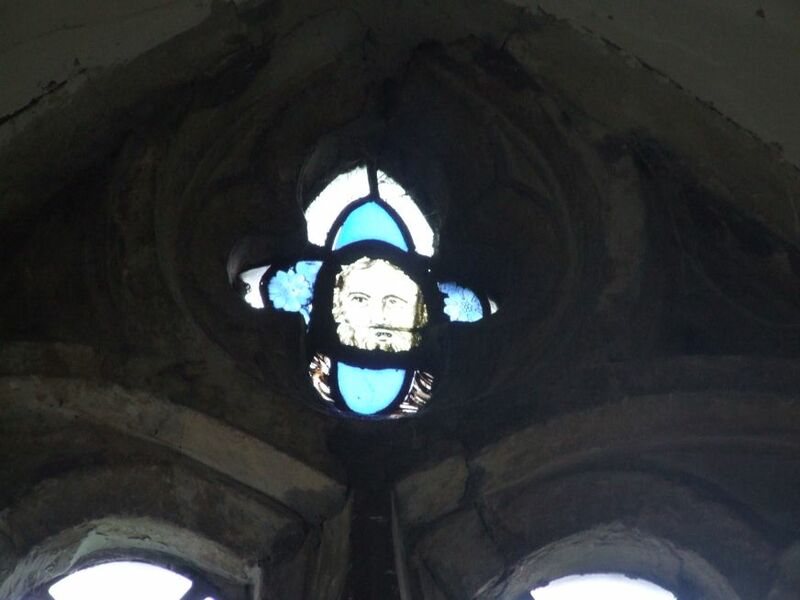 The restrained 1890s crucifixion in the east window is jewel-like, and all in all there is a simplicity, an elegance to the inside of St Andrew that captures the heart. In the north aisle, and similarly understated so that you might miss them if you were not looking for them, are parts of another puzzle. These are low, flat-topped, functional benches, but set within recesses of each end are elaborate carvings of animals and angels. The best of them are an elephant with a castle on its back, and a devil plucking a chicken, a cooking pot between his legs. The carvings appear to be late medieval - indeed, several of the angels have had their heads removed, presumably by 16th century Anglican reformers - and yet the benches themselves are of a quite unfamiliar style for the period. 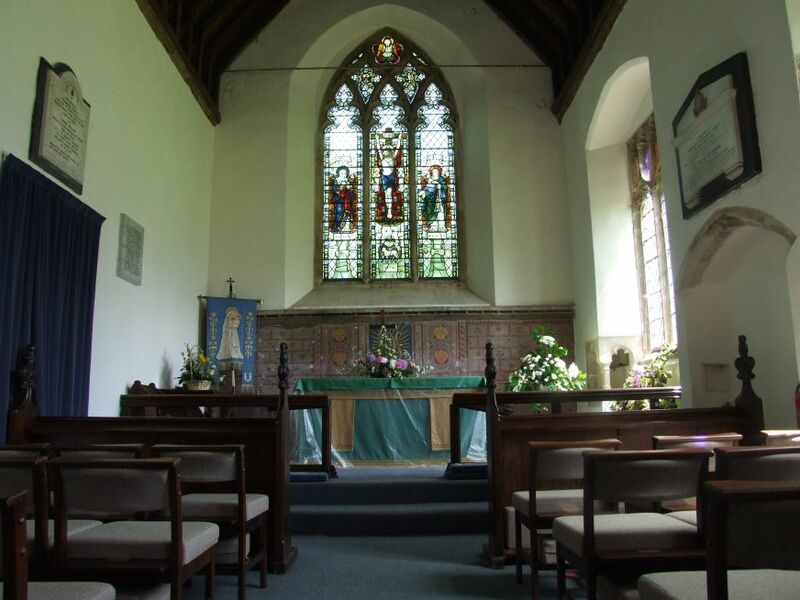 Like so much here, they are worth exploring - a delightful church, worth wresting back from the bats if we can.